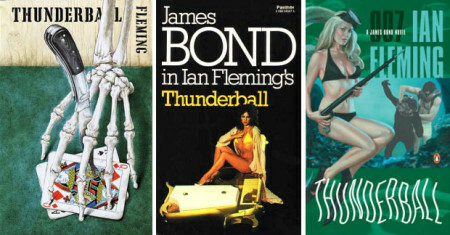 Fleming had been working with Kevin McClory and Jack Whittingham on a film project, and when it fell through Fleming turned the material he had into Thunderball. Once published he found himself in court and subsequently lost the case in favour of McClory and Whittington. The result of the case is that all copies of the book since state that “The story is based on a Screen Treatment by K. McClory, J. Whittingham, and the author” and McClory was left with the film rights. This time Bond finds himself in the Bahamas on the tail of SPECTRE, the SPecial Executive for Counter-intelligence, Terrorism, Revenge and Extortion, who have kidnapped two nuclear warheads and are holding the west to ransom. As well as the West Indies setting, the book includes Bond’s stay at a health farm and Fleming’s love of the ocean. The book should be read in conjunction with On Her Majesty’s Secret Service and You Only Live Twice.